Today, I want to discuss how I used WhatsApp on my Laptop. 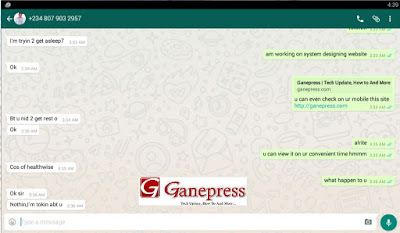 WhatsApp Web is a computer based extension of your phone WhatsApp account and is now available to use on Laptop, your personal computer (PC). 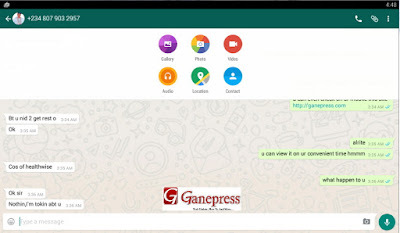 WhatsApp Web enable to perform every action you take on your mobile WhatsApp, and any messages you received, or send are fully see between both devices and you can easily get access to it with your constant internet connection. 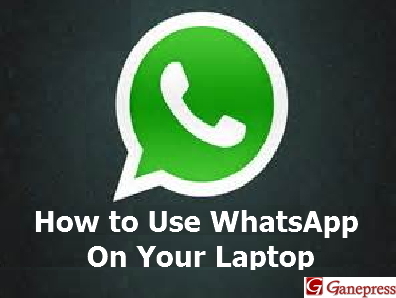 You can continuously getting access to your WhatsApp account once you get started to use it on your PC, just the way it is being used on your Android Smartphone. There are two option you can install and use WhatsApp Web on your Computer. Method 1. 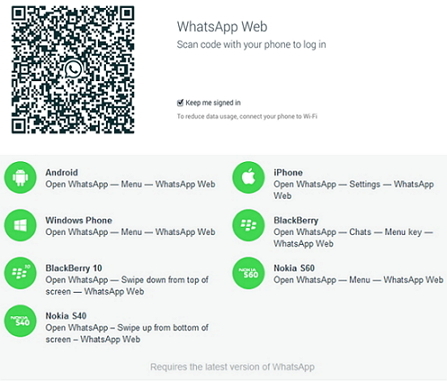 Using WhatsApp Web Through QR Scan Code. 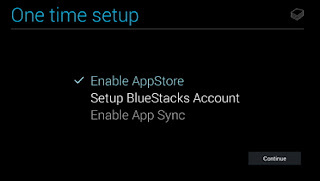 Method 2: By Installing BlueStacks App on your computer and WhatsApp will work perfectly like an Android phone. 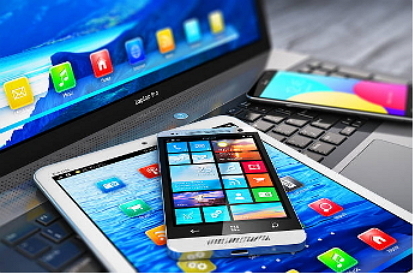 You need to have an active WhatsApp account and updated version on your phone to enable the internet connection between your computer and your phone. 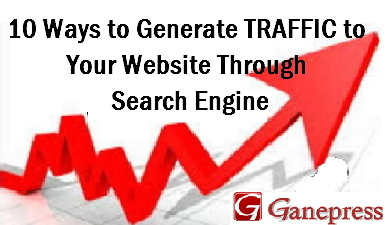 You must also have latest web browser version of Firefox-Mozilla, Google Chrome and Opera on system to work effectively. WhatsApp can only work well on Smartphone like Window phone, Android, Blackberry, Blackbery10, Nokia S40, Nokia S60, and iphone. 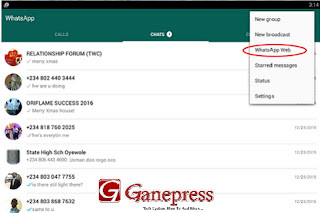 You must also ensure you are running on the latest version of WhatsApp on your phone mobile to enable service to work well. Launch the Google Play Store for WhatsApp update, or launch your phone menu to choose my Apps if available and check whether WhatsApp update is available. When you launch to WhatsApp Web on your phone menu in Step 1; scan QR code reader will open on your phone, then point this at your PC screen to read the code on WhatsApp Website as it shows on your WhatsApp mobile and automatically scanning will displayed on your mobile phone once facing with your computer. To avoid data usage charges on your mobile phone, it is recommended that you always connected to Wi-Fi when using WhatsApp Web. 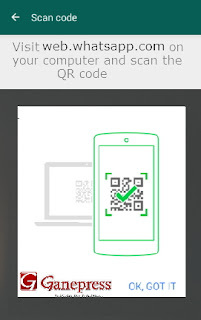 If you find it difficult to use WhatsApp Web through QR Scan Code on your computer, using BlueStack App will be more effective and interesting to use on your laptop and PC for your WhatsApp. 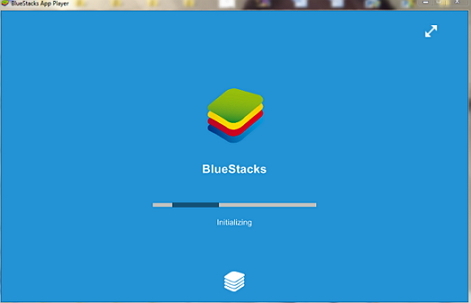 BlueStacks App is the most popular App that works perfectly well on Windows Operation System (OP) and Mac like an Android phone on Personal Computer. 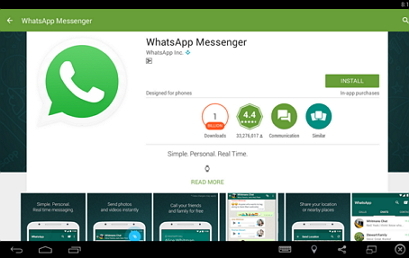 BlueStacks Android emulator will install WhatsApp on your PC once it is downloaded. 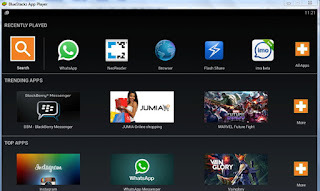 To download and install BlueStacks App click on Download Now. Once you finish downloading the App, you can run the installer and wait for a while till the BlueStacks App is completely installed because is a very large files and you need to exercise some patience to finish the installation on your system. 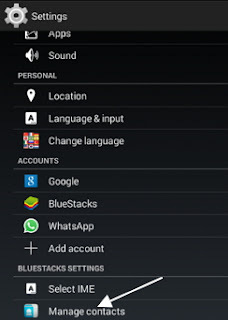 Thereafter, you can choose to install WhatsApp App or let the blueStack do all the installation. 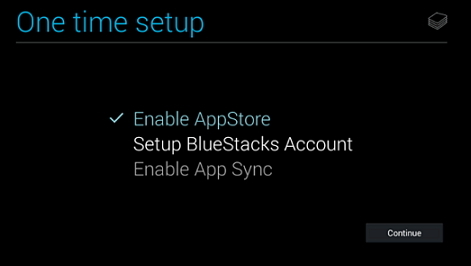 BlueStack will installed all the available Apps, then you can choose one of the App you what to install manually by yourself. You must ensure you are connected to the internet otherwise the installation will not be complete. If you are not connected to internet, it show you "Fail to load the channel. Unable to connect to internet". A pop-up box will displayed to complete installation. One time setup to enable the services by clicking "Continue" to Add your Email either Existing or New. 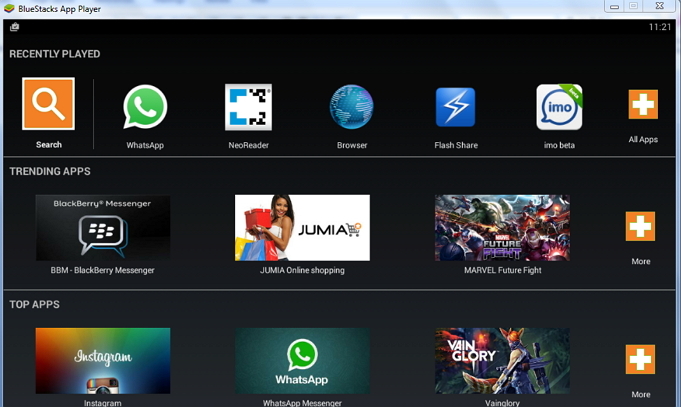 Once BlueStacks is installed, a Apps files will be created Desktop where all the apps you installed manually WhatsApp and others will be kept. You have to locate the Apps file and always going there to open up your WhatsApp or orther you need whenever you want them. 2. 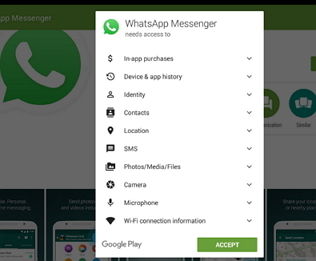 Click on ACCEPT to start installing WhatsApp and you will see your apps fully installed. 3. 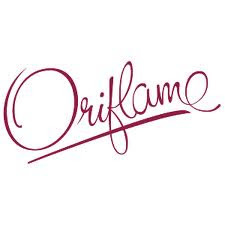 Once Installlation is completed click to OPEN. 4. Ready to register your WhatsApp, tap to put your mobile number with your country code to get your verification code by SMS or voice message. Enter code you received or heard by voice and installation is complete, so you can start enjoying using your WhatsApp Web. Note: If backup your contact on google with your email account, all your contact on your mobile WhatsApp will be restore to your Desktop WhatsApp. 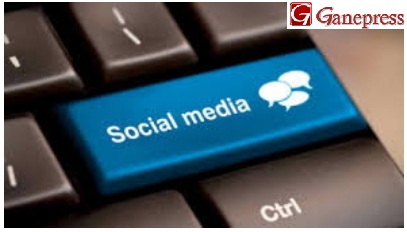 Other wise, WhatsApp will display few of your contacts or open with empty contact. Since you don't have SIM Card on your Laptop, you need to export all your contacts from your phone to BlueStacks App as vCard file. I will always advice to backup all your contact with Google Drive Setting with Google email account on your phone WhatsApp because it will automatically restored all your backup to your WhatsApp when you click "Restored Backup" even on your Desktop WhatsApp Web. To do that go to your phone WhatsApp menu setting, press chat and calls, press chat backup, press account if you use Google account, then back to press "Back Up to Google Drive"
Meanwhile, before you can add your contact to Web WhatsApp on your Laptop or PC, you need to Export of your contacts from your phone to BlueStacks and contact will be as vcard file. Now you need to Export contact from your phone and it will look like yourcontacts.vcf or with any name you give it, and copy to the folder where BlueStacks user data on your system where stored as "C:programDataBlueStacksUserDataSharedFolder"
4. 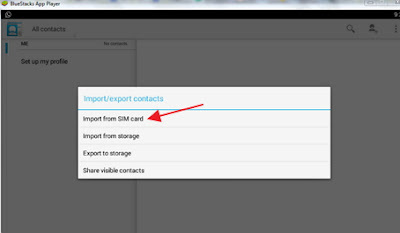 On Import/export Contacts Click on" Import from SIM card"
If you already export your contacts from your mobile, it will show to click from vCard contact file to import but if you have not export from your mobile to BlueStacks App, will show " No contacts on your SIM". 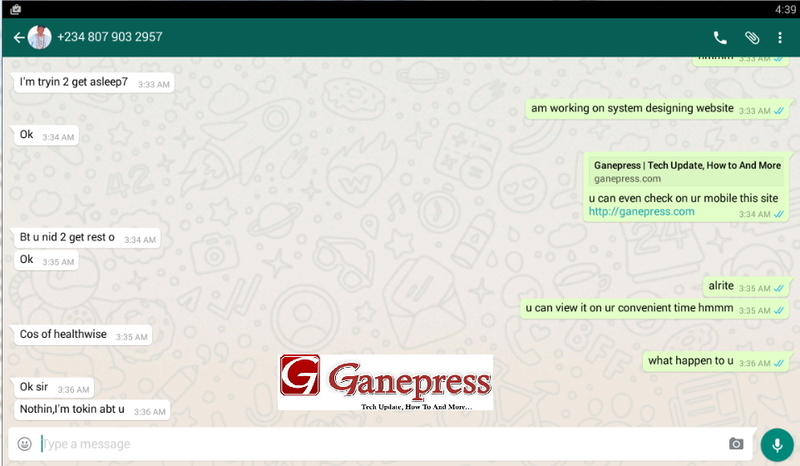 The WhatsApp Web interface will be familiar to your mobile phone WhatsApp user and looks bigger. Then, you can go to setting menu on WhatsApp to adjust your privacy on three dot on top of your right hand side. Notification is also supported on Desktop Web WhatsApp and if for any reason you want to switch off notification for privacy since you share with your PC, you can do that in the setting menu, then select notification or deselect desktop Alerts and sounds. 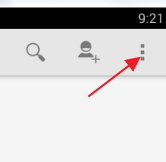 The emotion icon is enable as that of mobile WhatsApp on Desktop. 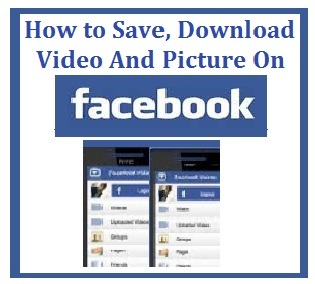 When starting a conversion you will see that the background appear as that of mobile and you typed using your laptop keyboard and send with your mouse pad. 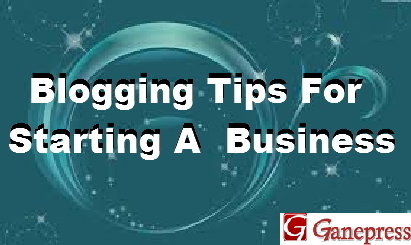 Trying to use Enter key to send might not response but that depend on your setting. More so, to delete conversation, you also click on message to delete and hold your mouse down to delete. Just the way your mobile WhatsApp, so it was on the WhatsApp Web. 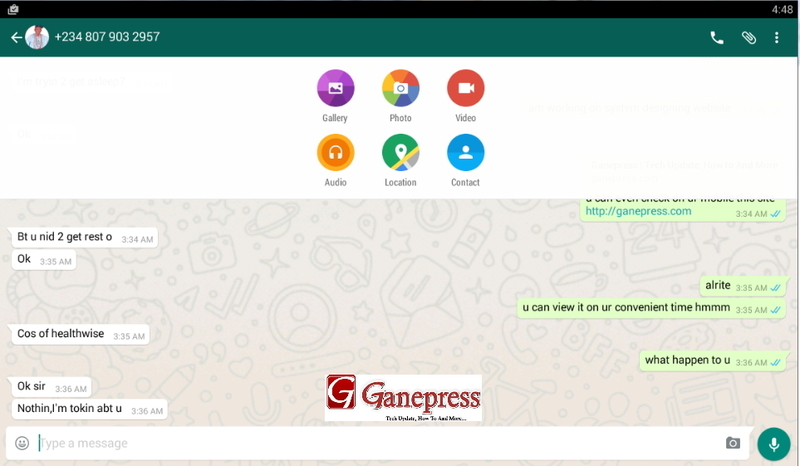 WhatApp Web on Desktop supported the use of attached menu such as Gallerry, Photo, video, Audio, Location, Contact and enable as that of your mobile WhatsApp. 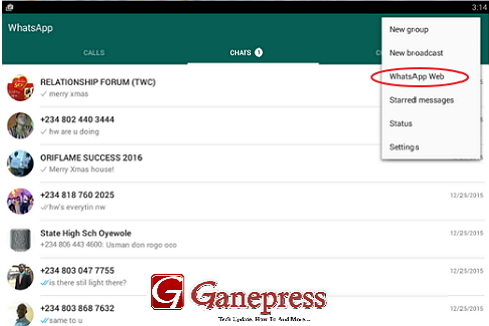 Beside, the call option that you can use to make a call since WhatsApp is supported with calling. 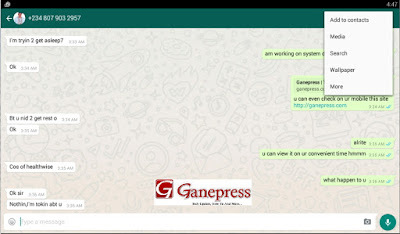 Once your phone and computer are connected by going to option menu in WhatsApp on the web, you can then able to manage to logged in computer from phone after scan QR on your browser, if you used QR scan code.You can also log out of your computer, or you can use the options menu in WhatsApp on the web to log out from the PC you're currently using. So,WhatsApp by default keep you logged in unless you specify unless you uncheck the keep me signing box. If you uncheck keep me signing box, you'll need to go through the QR code process again the next time you want to log into WhatsApp on that computer. 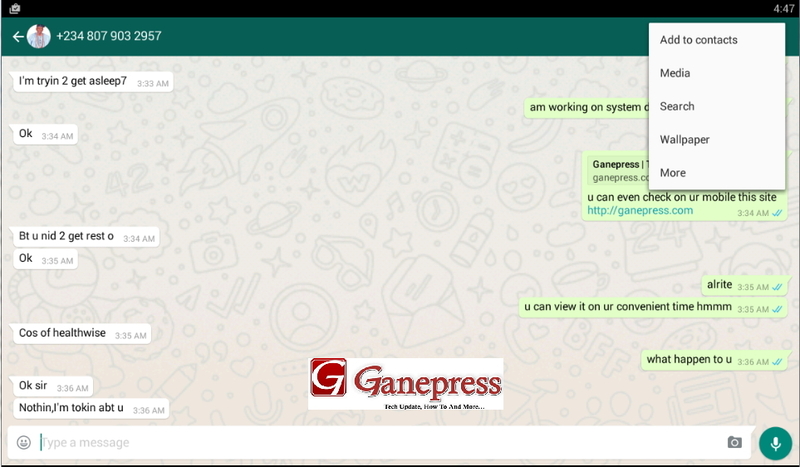 If use second method by BlueStacks App Player, whenever you are online, WhatsApp notification will display at right side corner of your desktop system. Any messages between your phone WhatsApp and browser are instantly synched, so users on limited mobile data will need to increased data usage or always switch on your Wi-Fi, if you're a heavy WhatsApp users. 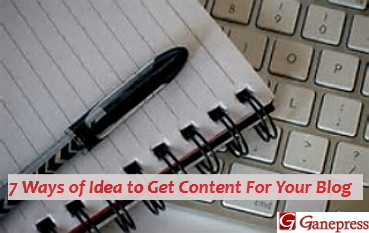 Feel free to give your feedback when you get it and share with your friends.